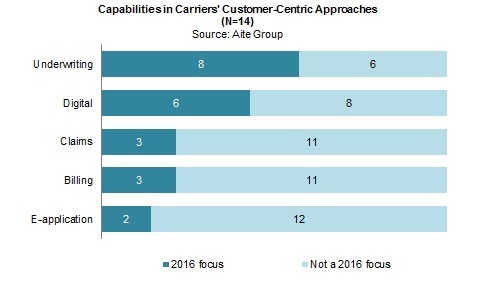 Carriers focus on the customer’s experience, from underwriting to claims, and expect to build a competitive advantage. Boston, February 11, 2016 – 2016 is going to be a busy year for the life and annuity industry, which has truly shifted its strategic focus. These companies have spent the past several years concentrating on business and agent needs, but in 2016, those needs will take a backseat to those of the policyholders and prospects. This culture shift redefines not only how technology projects get prioritized but who the customer is, and it is taking place with IT budgets equal to those in 2015. This report will outline the strategies and focus of life and annuity IT departments, the cultural shifts occurring, and what IT executives are facing in 2016. It is based on late 2015 and early 2016 interviews with IT executives at large life and annuity carriers across the United States. This 17-page Impact Note contains five figures. Clients of Aite Group’s Life Insurance service can download this report.